Today, I welcome wonderful author Lana Krumwiede to share some writing tips on ‘world building.’ Lana’s debut middle-grade novel, Freakling, was published by Candlewick in October, 2012 and if you haven’t checked it out…well you should (see my review here). In fact, you should check out Lana’s website here and check out Freakling either on Amazon or Goodreads. I had the pleasure of acting as guest author for one of the summer writing camp sessions of Richmond Young Writers. Everything about it was awesome: the writers, the instructors, Chop Suey Books. Heaven! Since I got to choose the topic, we talked about world building, which is just a more interesting word for setting. World building is associated with fantasy and science fiction, because the author must provide enough information to allow the reader to understand the character’s world, be it another planet, an imaginary future, or an alternate reality. It’s not just the writer that builds the world–the reader also has to build a vision of the world in his own mind as he reads. The writer’s job is to provide the building material to make that happen. Like all building materials, they must be provided in a logical order and in manageable quantities. Otherwise, the builder (reader) has trouble knowing where all the pieces fit. In writing Freakling, I knew world building was going to be a huge challenge. Patricia Wrede’s world building questions had given me a lot to think about. I had a lot of details about Taemon’s world worked out in my notes, but I knew including every single bit of that would overwhelm the reader. I had to choose. But how? The answer involves a sad story from my family history. In 1900, my great-great grandfather and two of his brothers were killed in a horrific mine explosion in Utah. About 200 miners lost their lives in the blast. Most of them were immigrants; some had entered the United States only two weeks previous to their death. For the small town of Scofield, it was absolutely devastating. 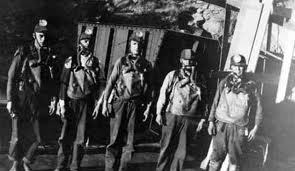 Every able bodied man was needed in the search for the bodies that were scattered throughout the mine. The people involved in the rescue had just lost family members, friends, and co-workers. They were exhausted from working through the night. Arguments broke out, in particular because the Finns refused to take part in the search despite the fact that some 50 of the deceased were their fellow countrymen. More level-headed people (or perhaps bilingual people) intervened to explain that Finnish customs were very strict about who was allowed to handle bodies of deceased persons, and that the search should be done on a volunteer basis. Customs about who is allowed to handle a corpse. Wow. From a writer’s perspective, that little detail about the Finns is a gold nugget. Conflict! Tension! It’s like revving the engine of the plot. I thought about how people in Deliverance would feel about dead bodies, and that resulted in some great scenes in the book. I found that the suspicions and paranoia that had seeped into the culture of Deliverance made great fodder for conflict, both large and small. It also helped set the mood and tone for the scenes that are set in Deliverance. I suppose the answer to making choices about world building boils down to this: whatever serves the story best. Isn’t that the answer to every writing question? This post first appeared on Lana’s website.